PRIME is a clay lube on steroids. Revolutionary nano technology deep cleanses paint. The nano particles remove contamination inside the paint’s pores and leave behind an enhanced structure to boost the optimal bonding of a coating to a paint’s chemical structure. The name is born from its function. PRIME fills in the micro voids of the paint structure with nano particles for an enhahced surface for coatings to adhere to. This increased surface area and chemical bonding allows all FEYNLAB® coatings unrivaled adhesion to the painted surface. The result is optimal ceramic nano coating durability and performance. True nano technology formula allows deep cleansing within the paint’s pores. 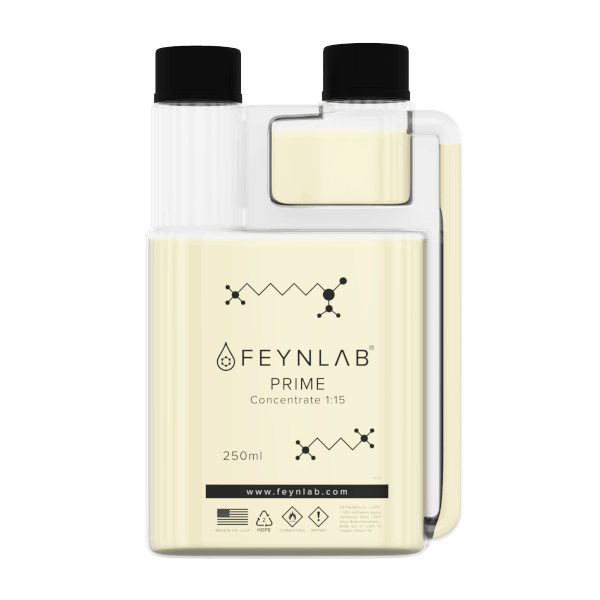 Prime lays down base chemistry within the porous paint structure, enhancing the bonding of ceramic coatings. Mix to a 1:15 dilution. 1 part Concentrate to 15 parts Water. Thoroughly clean surface of loose contamination or topical that might inhibit product effectiveness. 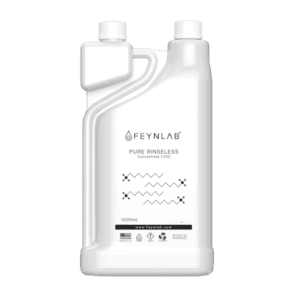 Clean the surface with FEYNLAB® PURE WASH or FEYNLAB® PURE RINSELESS. Apply liberally to panels in order to adequately lubricate the surface for a clay bar or decontamination mitt. After the physical decontamination is completed, simply wipe off any remaining product with a microfiber drying towel. PRIME penetrates so deeply into the paint’s structure, a large amount will remain after a single stage polish, helping to promote optimal adhesion and performance of all FEYNLAB coatings.